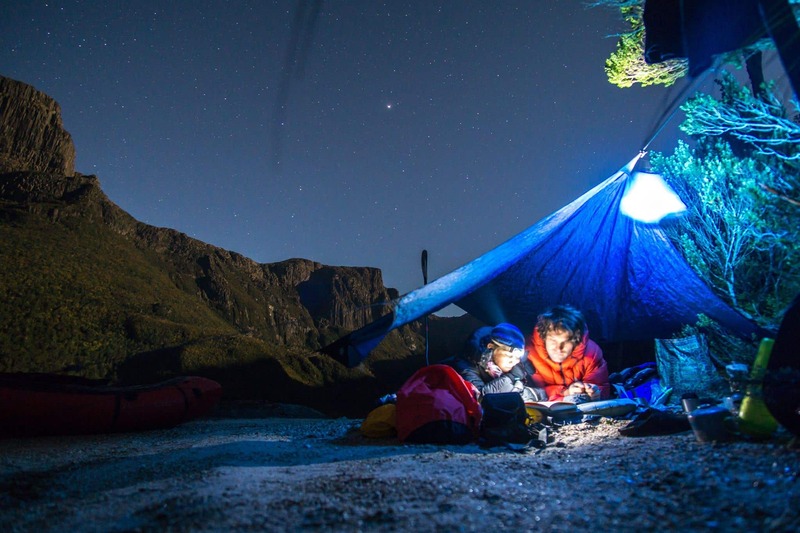 We were blown away with the awesome entries to our recent North Face Ventrix photo contest. The photos and the accompanying stories are nothing short of spectacular, and do a great job at showcasing what the Paddy Pallin community is all about. 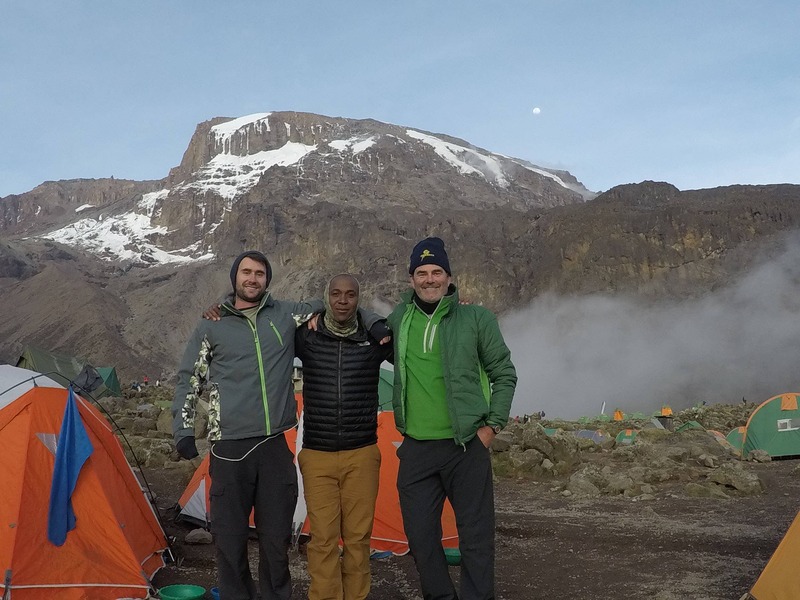 It was incredible to see people of all age ranges taking on adventure spanning the globe! 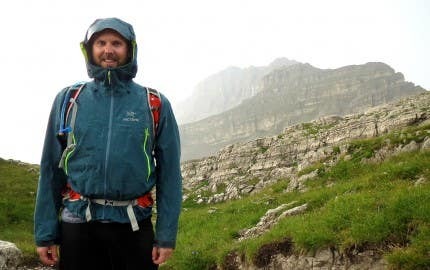 We asked you to show us how you would use the “jacket that works when you do” by submitting an epic photo of your toughest hike – here are a few of our favorites! 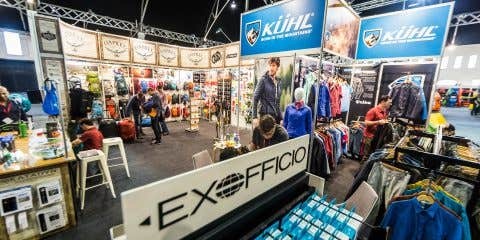 First of all, congratulations to our two lucky winners who were randomly selected to win TNF Ventrix Jackets: Harrison Mol and Rachel Dimond. 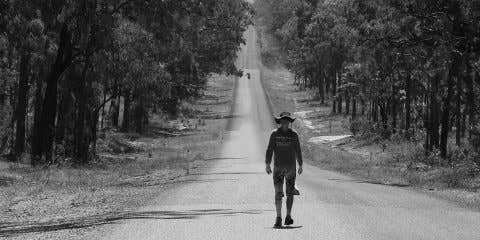 “Some hikes are hard because of the distance. 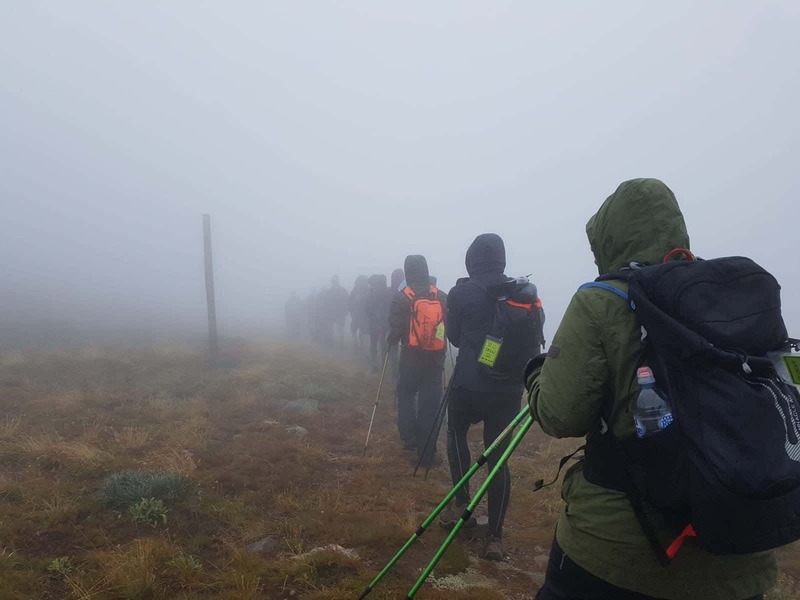 Some hikes are hard because of the weather. 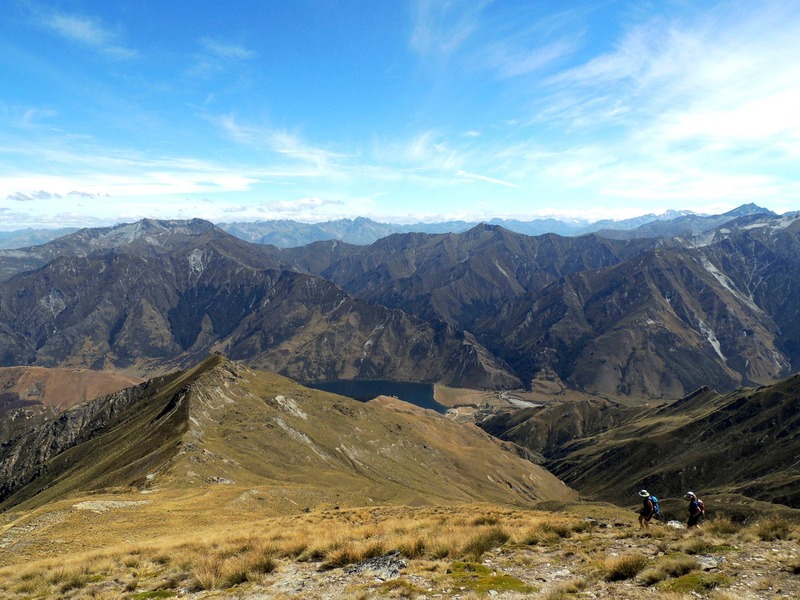 And some hikes are hard because you have gastro and there’s no suitable place for a toilet stop on top of the pass – My sister down climbed fearlessly which i later found out was more out of necessity rather than choice to descend first. 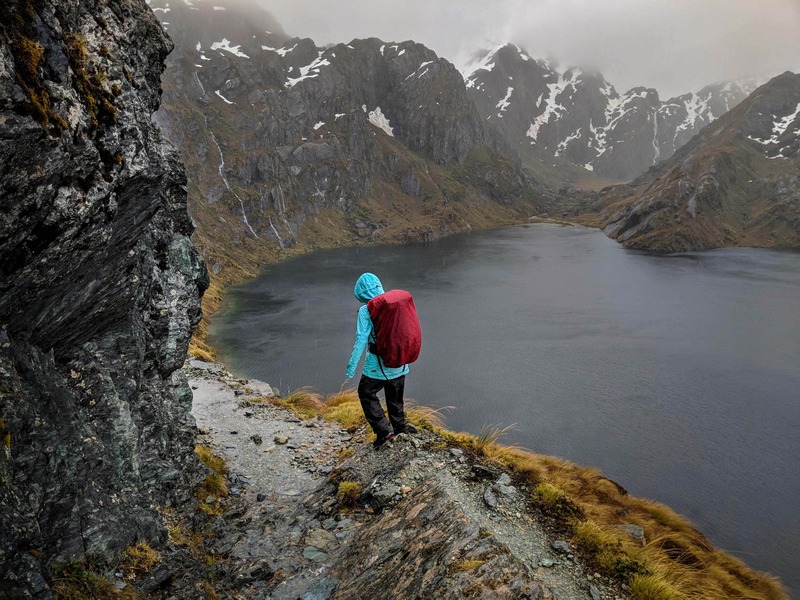 ” – Harrison M.
“New Zealand is pretty infamous for the inclement weather it rains down on hikers, so why should my tramp along the Routeburn Track be any different. 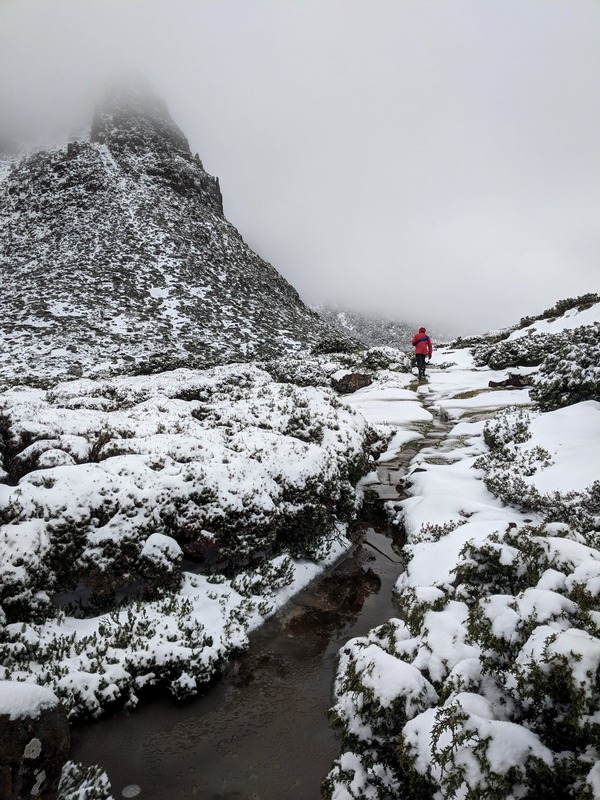 Day 2 crossing the Harris Saddle was the hardest, winds gusting at 70kmph and heavy rain with periods of heavy slush constantly whipping our faces and leeching the warmth from our bones. We never did see the summits of the mountains but we did collect alot of stories about our wrestle with the weather of the west coast. 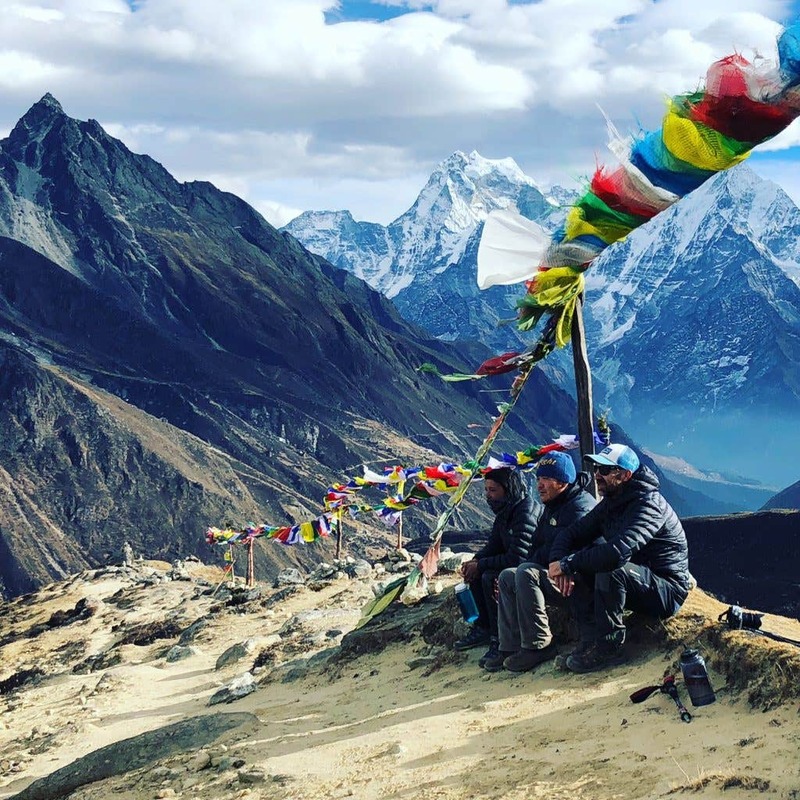 All the locals we told just chuckled to themselves as we threw our arms about wildly trying to articulate the horrors of our hike.” -Rachel D.
Keep scrolling for some of our favorite entries! “On Mt. 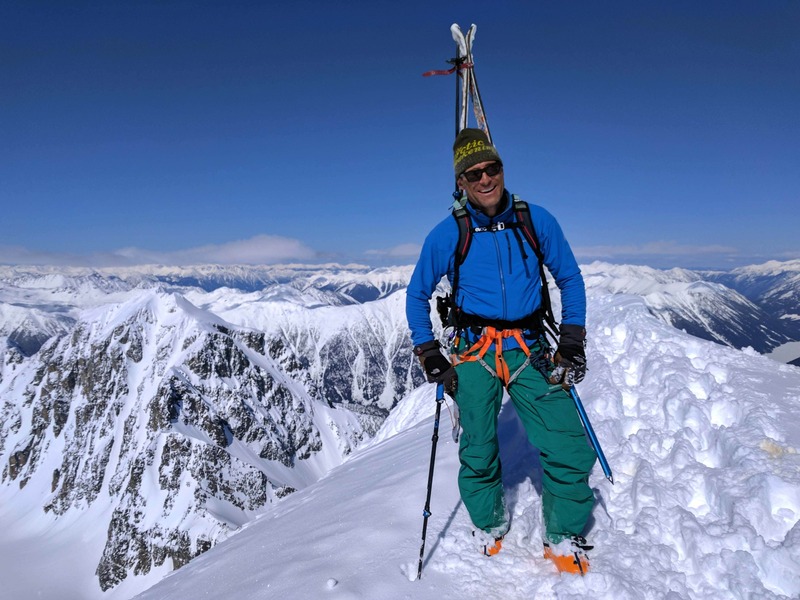 Matier looking towards Aussie Couloir on Joffre Peak, BC, Canada. The expression says it all with local friends Chris & Alex leading the charge. 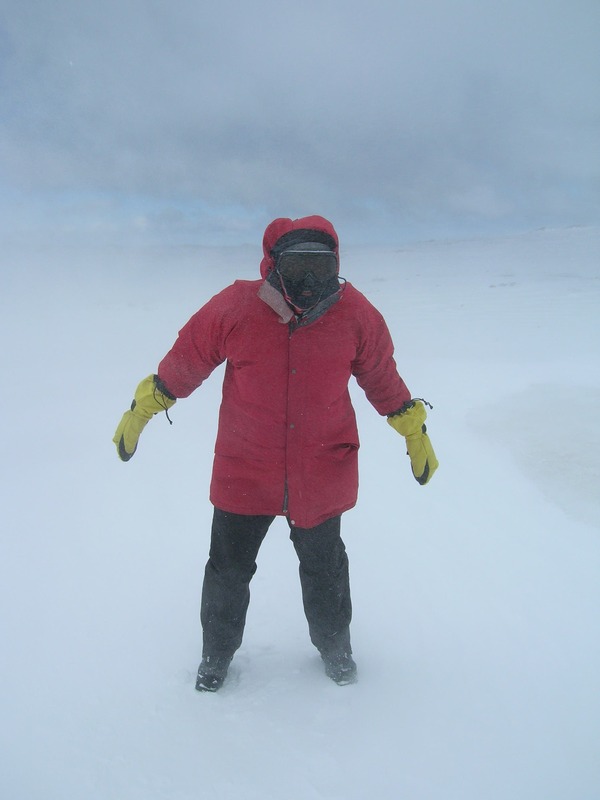 ” -Andrew M.
“Would have loved that jacket under my current North Face jacket at Mount Everest. 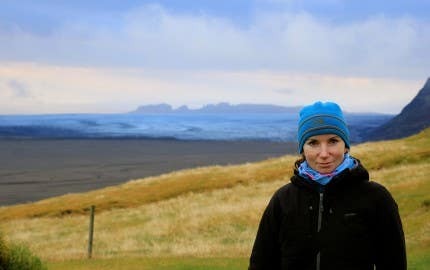 Toughest and coldest hike to date!” -Kristy J. 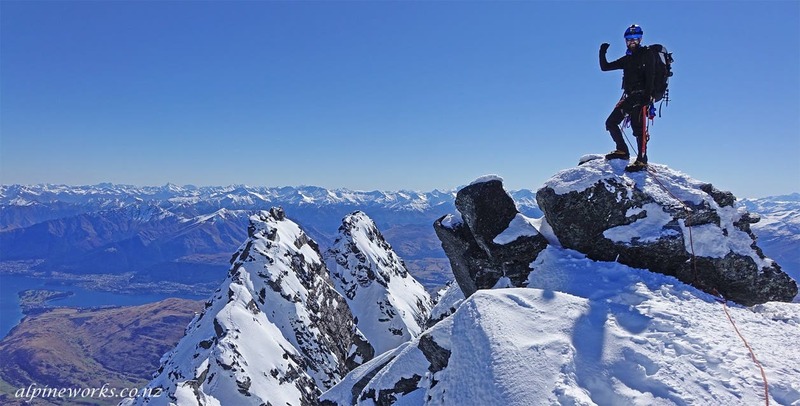 “Remarkables – Single cone” -Alejandro V.R. 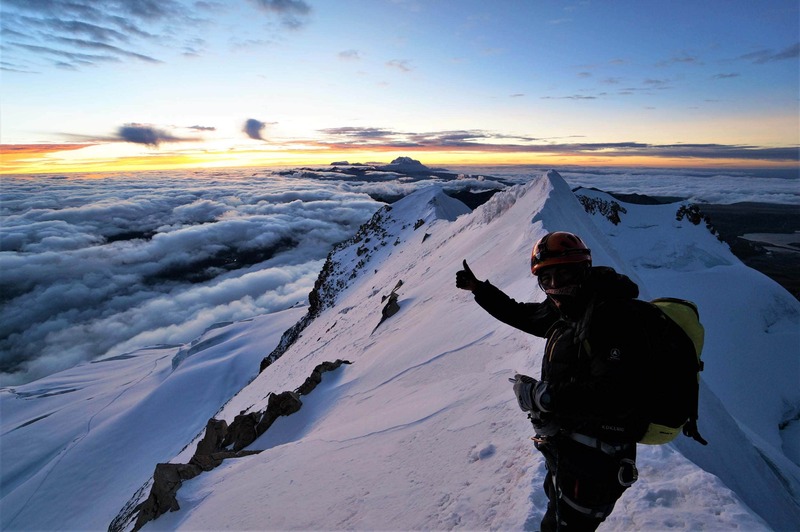 “Sunrise at the summit of Huayna Potosi (6088m) in Bolivia. 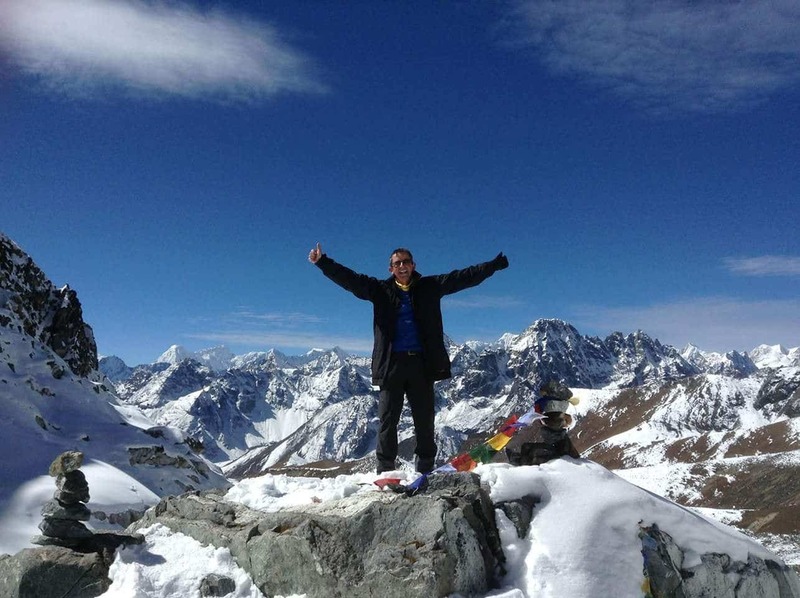 This was my first time mountain climbing, as well as my first time above 5000m. Leaving at midnight in the dark, my guide Ivan (pictured) and I set off from high camp (5130m). 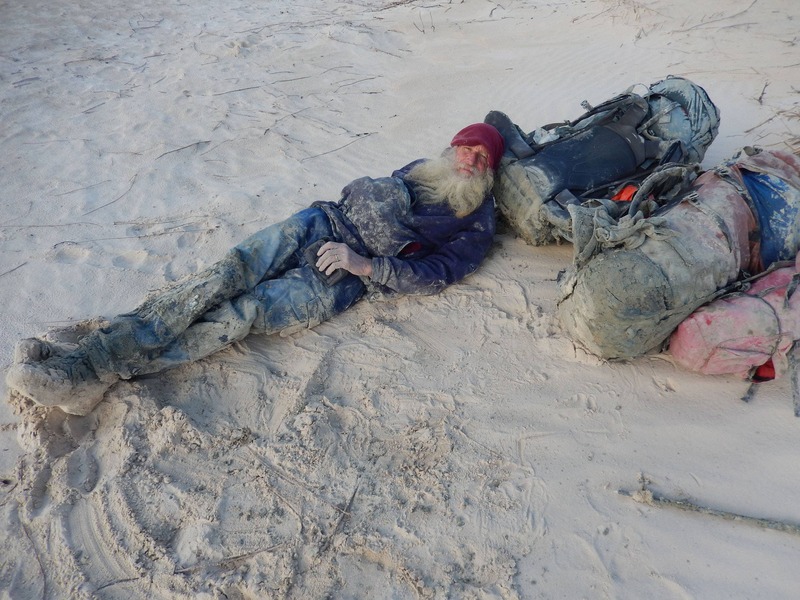 For Ivan, it was a walk in the park, he climbed the summit usually 3 times a week. 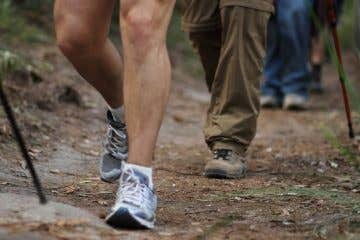 For me, it was the hardest hike of my life. After trudging for 7 hours through ice and snow, barely able to breath, I eventually made it to the top and was rewarded with a stunning view over Bolivia” -Jeremy L.
“Sunrise on the summit of Mt. 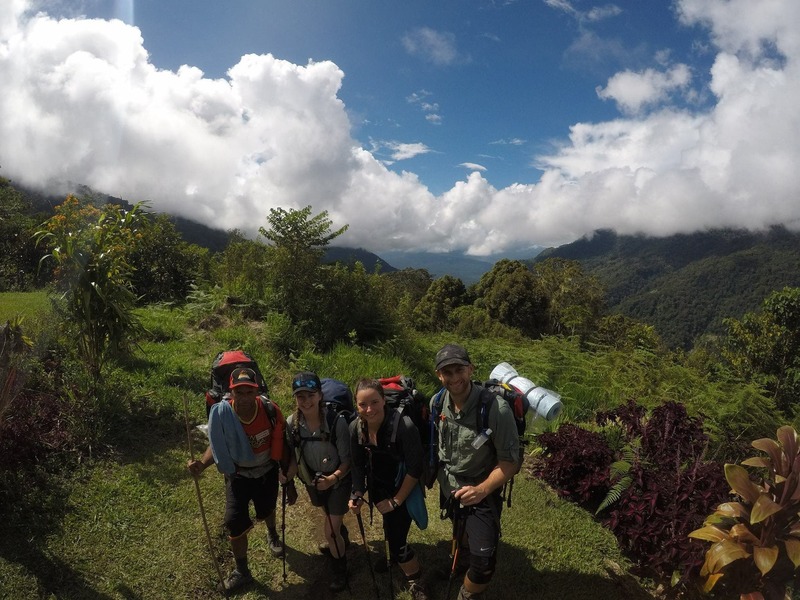 Kinabalu, 2 days of hard, 3 days of recovery, but worth every incredible step!” -Brett R.
“Hiking the Drakensberg in South Africa with my housemates. 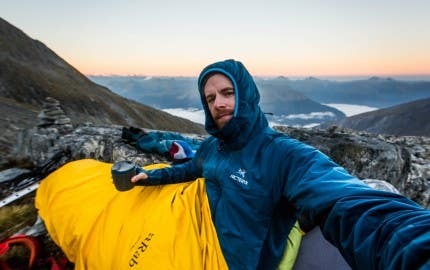 Pictured here; a Canadian, an American, and 2 Germans!” -Solaye S.
“Freezing cold, wet and wind blow but still made it to the top of Frenchmans Cap!” -Simon K.
“Hiking the w’O’w circuit in Patagonia. This will be a memory I will remember, always! 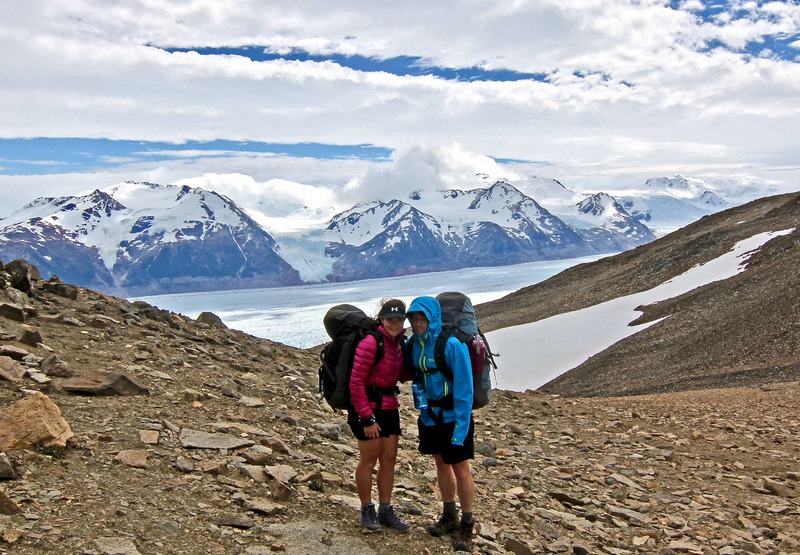 My husband and I took 8 days to complete the ‘O’ circuit hike in Torres del Paine National Park in the Patagonian regon of Chile. 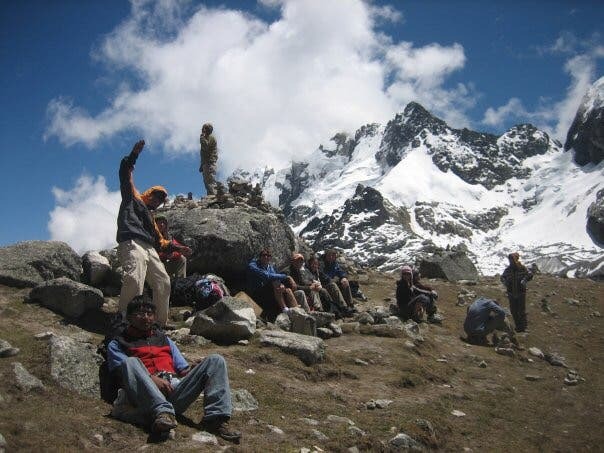 This photo was taken when we reached the top of the pass, which was a long and difficult slog! The view over Glacier Grey was phenomenal. We spent as long as the weather would allow taking it all in and feasting our eyes on the magnificence of the glacier. 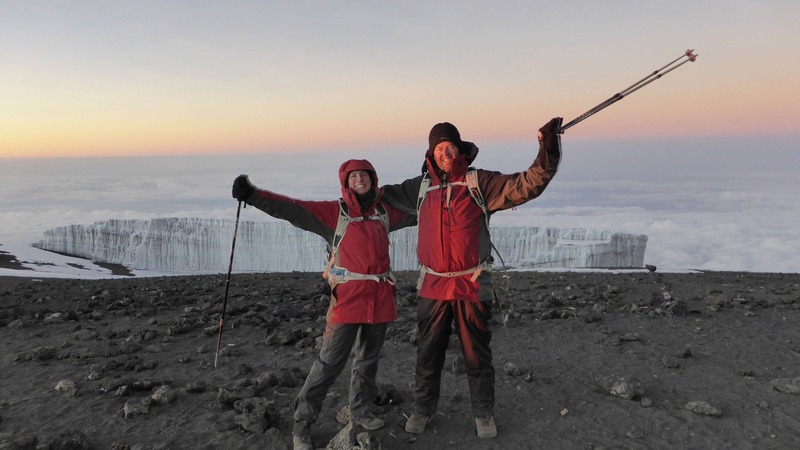 The entire hike was amazing as well as a great challenge, plus having impeccable weather throughout left us feeling truly lucky!” -Bron H.
“2014 Kilimanjaro with my husband. 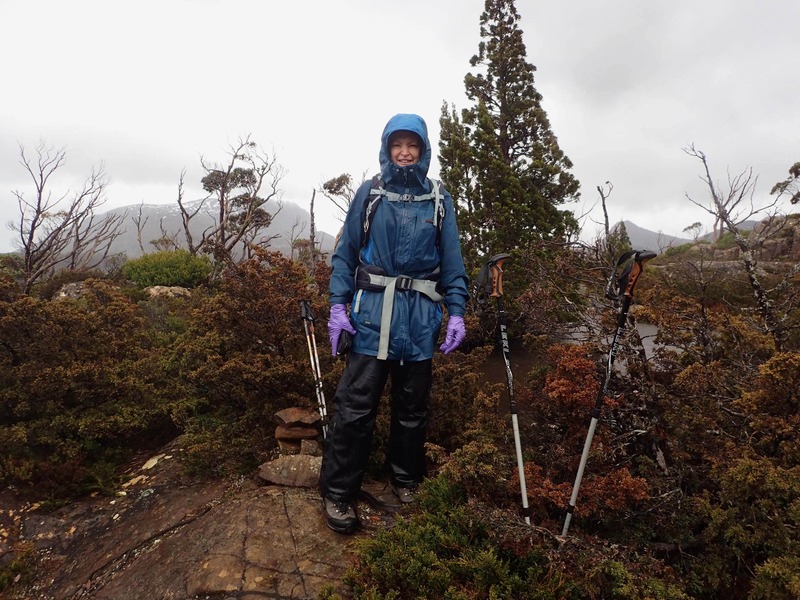 Toughest hike I have done!” -Debbie M.
“Exploring the Labyrinth in Tasmania with my husband during the storm in late September 2016 that took the power out in South Australia. Just a little wet, windy and cold, but fabulous! Not many people around as you can imagine. Loved it. 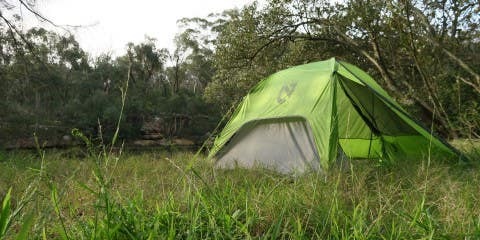 Thankful for good gear.” -Alison H.
“This photo was taken close to the summit of Mount Bogong (VIC). 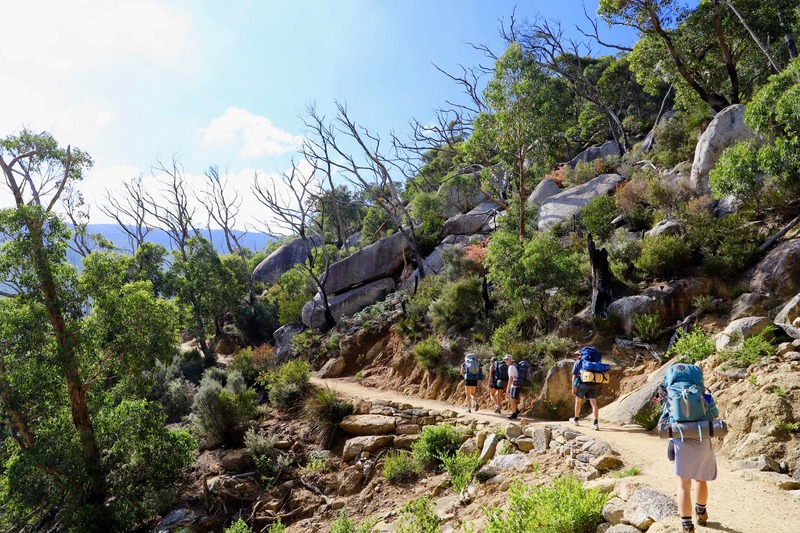 It was the final summit of a three peak challenge which involved summiting Mt Tennant (ACT), Mt Koscuikzo (NSW) and Mt Bogong (VIC) consecutively, within 33 hours. 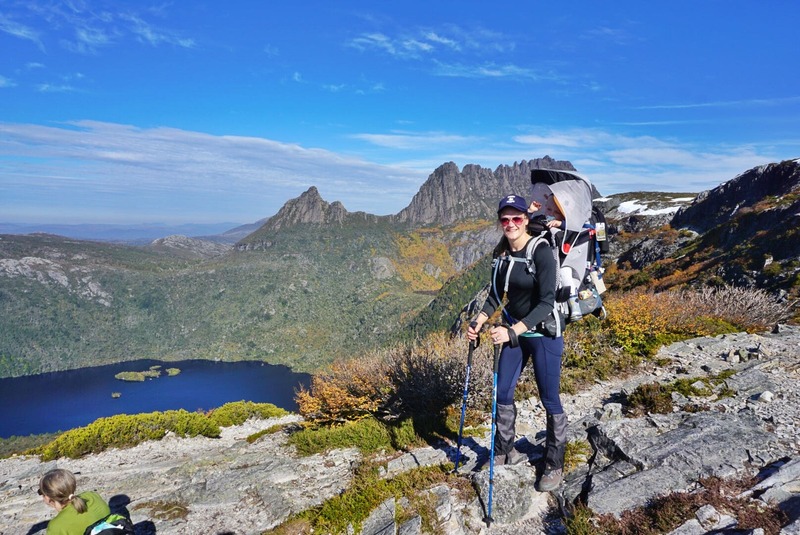 I have a love affair with the mountains, and I’m currently planning my next hiking adventure” -Claire C.
“The Overland Track is often tipped as an easy hike, a walk in the park even and for some maybe it is. But when mother nature turns to you and says ‘Hey, cop a load of this!’ You better strap in. 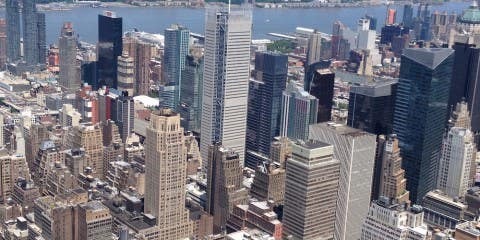 This particular shot is from our side trip to the summit of Mt. 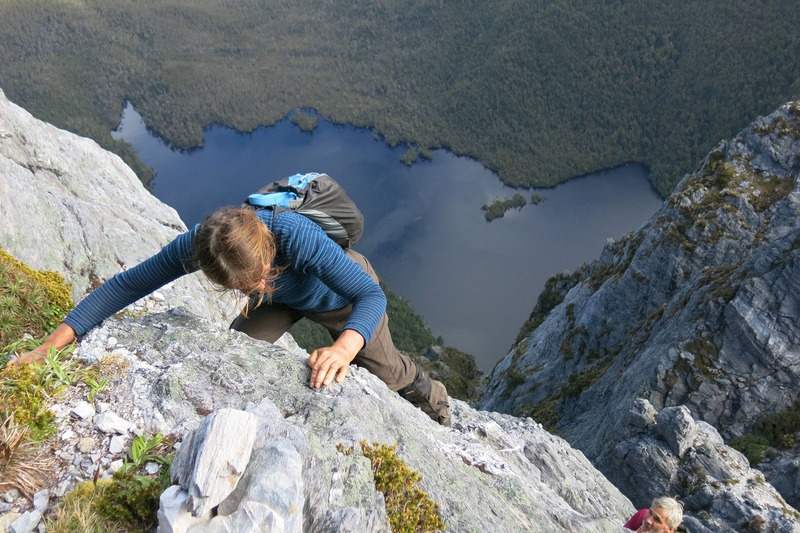 Ossa, Tasmanias highest mountain. We broke through snow for an hour and at times it was above our knees. Each step into the unknown, would my foot fall safely on duck boarding or was I about to step into a deep bog? 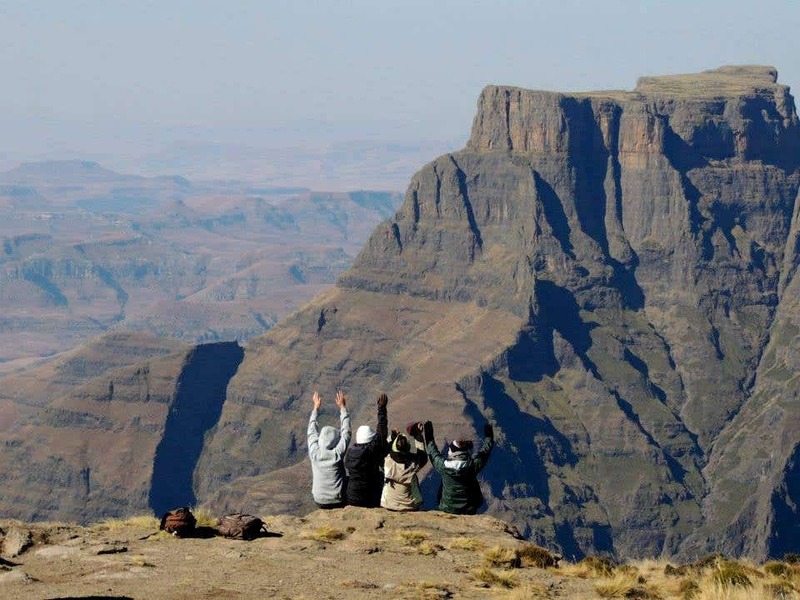 It was hard but with views like this it was worth it.” -Rachel D.
“Blasted by the wind! Storm front in the Snowy Mountains caused rain and 100km/hr, forcing my husband and I to seek shelter at Seaman’t Hut during our 9 day snowshoe tour of the Main Range. 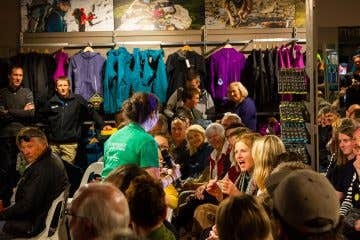 We weren’t the only ones – full hut that night with a bunch of splitboarders also caught out.” -Sasha J. 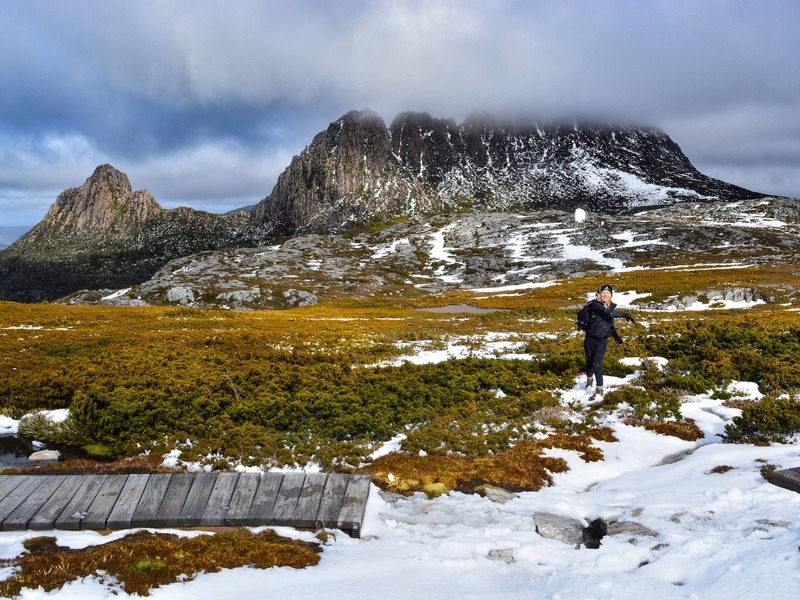 “Getting stranded on the Overland Track has it’s advantages.” -Kate B. 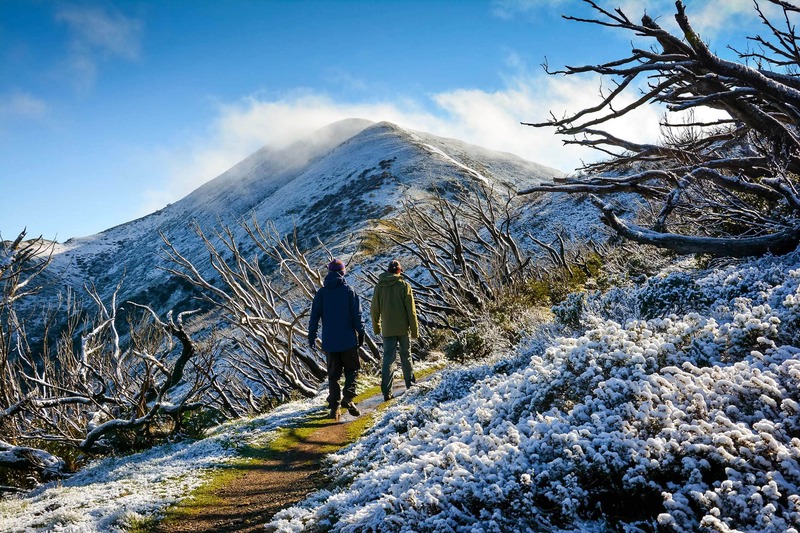 “After a surprise coasting of snow overnight, we make our way up to the summit of Mt. Feathertop in the early morning, fingers numb from the cold. 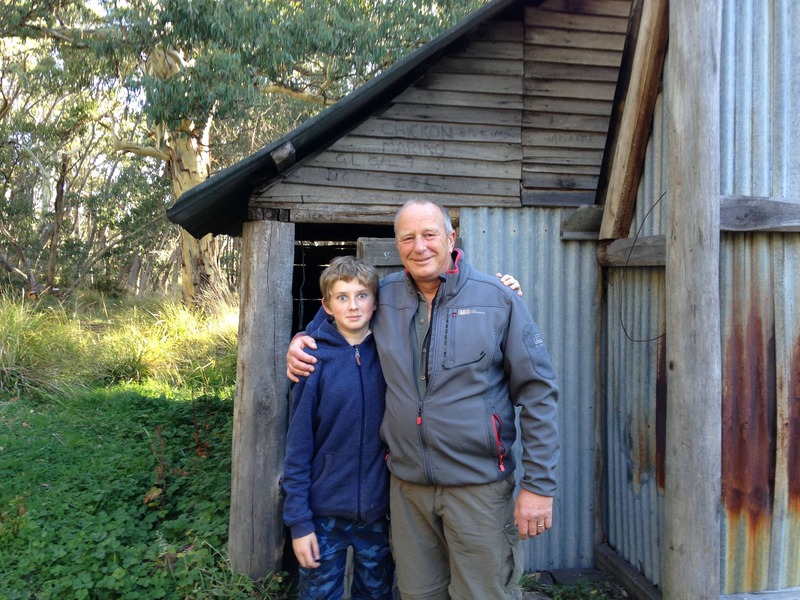 Trekking in the Alpine National Park in Victoria with two seasoned adventurers Brodie and Lyndon.” -Adam G.
“Trekking the Kokoda Trail and I was a part of the Kokoda Youth Leadership Challenge in 2017 with 17 other incredible people!” -Brad S.
“Perito Moreno Glacier in Argentina with my friend Chris Boyd” -Jim P.
“Hiking the Ben Lomond trail with my partner in crime, Hugo Goode, in New Zealand!” -Solaye S.
“Trekking the Reno-La having left Gokyo and overnight in the snow to awaken on my 62nd birthday to the most fabulous view in the whole wide world! 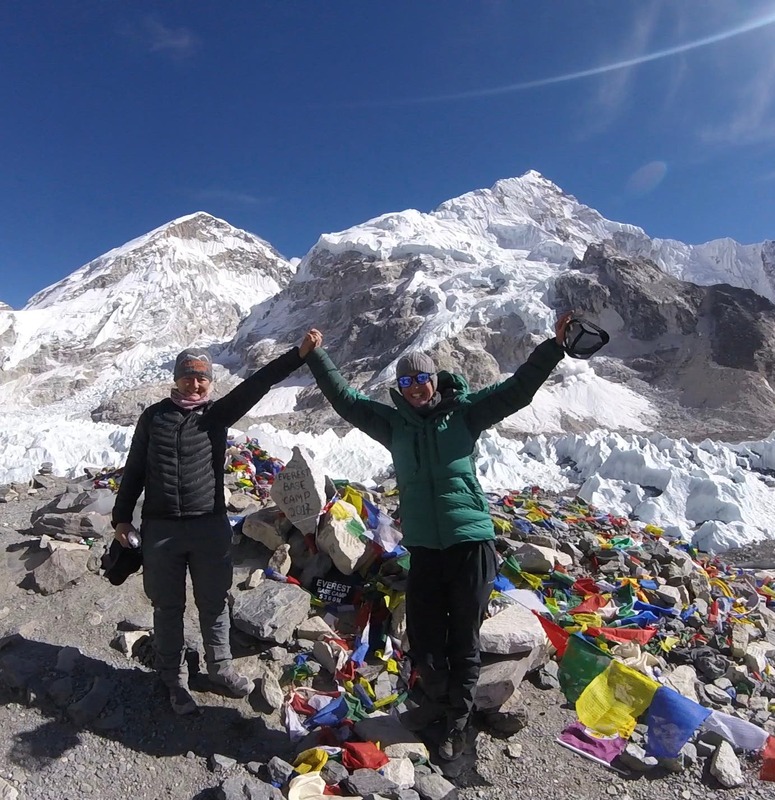 Our team of 11 with my husband Geoff aged 72yrs our intrepid leader although the real leaders were our 3 magnificent sherpas/serdar. We made it to the top of GokyoRi and cross d the 5400m pass in good health and great spirits. Next trek hopefully to Manaslu in 2019. 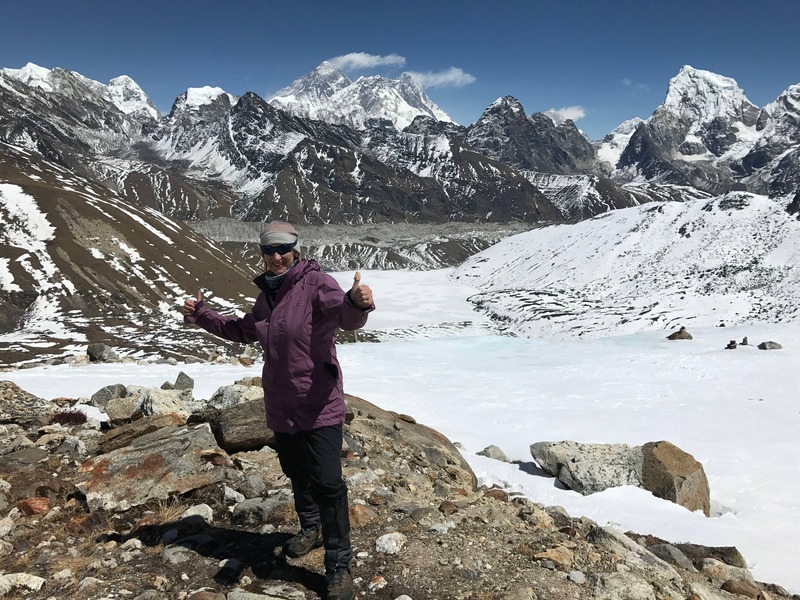 We love the Himalayas!” -Fiona H.
“On the way to Macchu Picchu, Peru” -Mattie G.
“Acclimatising after a long day on the trail to Gokyo Ri, Nepal” -Richard G.
“Beeripmo trail, La Trobe University Mountaineering Club” -Jackson F.
“Clare Climbing Federation Peak – First multi day bushwalk 16 day’s, First Tassie walk (offtrack most of the way) Old river to Federation Peak via Gorrilla ridge then Eastern Arthurs.” -Nicky B. 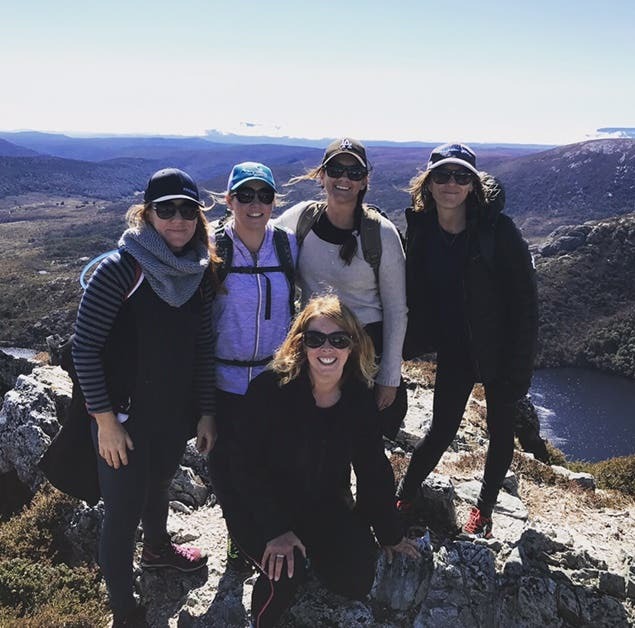 “Cradle Mountain, TAS with these 4 awesome chicks!” -Karen P.
“Solo Calm before the storm – Mount Ossa, Tasmania.” -Robbie N.
“Mud-covered and back on the southern shore of Cooper Creek inlet, Lake Eyre, after a hopelessly bogged and failed attempt to cross to the north with Sarah D.” -Graham G.
“My three friends and I had just finished travelling from Vancouver to Guatemala. Two plane rides and a taxi drive later, we finally arrived in Antigua, Guatemala. 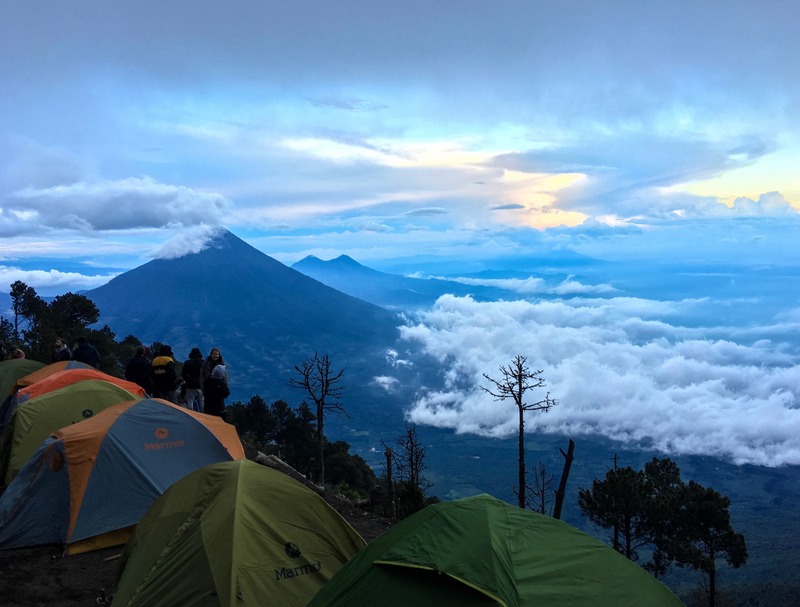 With less than 24 hours, we quickly packed our hiking backpacks and organized a trek up Acatenango Volcano! Having flown 8 hours and experienced a time change, waking up the next day bright and early to set off on this overnight hike was definitely a challenge. 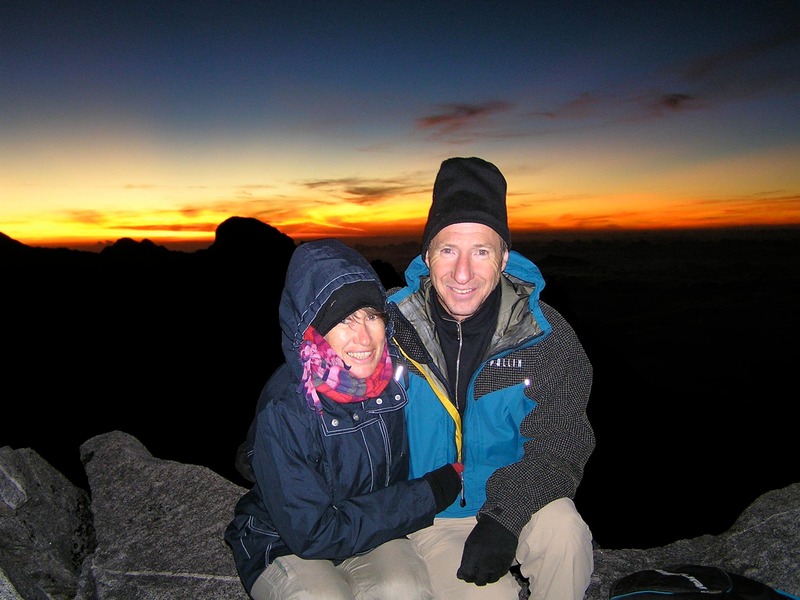 Hiking with old and new friends and a view like this made it all worth it!” -Jennifer M.
“Super Full Moon Rising over Kilimanjaro” -Dale M.
“Tarping at lake Judd Tasmania with my best half. 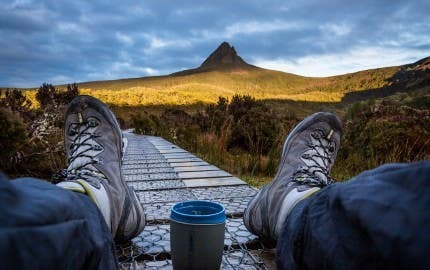 Lots of mud and bush bashing but so worth it” -Pierre F.
“Hiked the Overland Track in Tasmania for 7 days, carrying my 16 month old (and HEAPS of nappies! ), with the support of my hubby and some family. 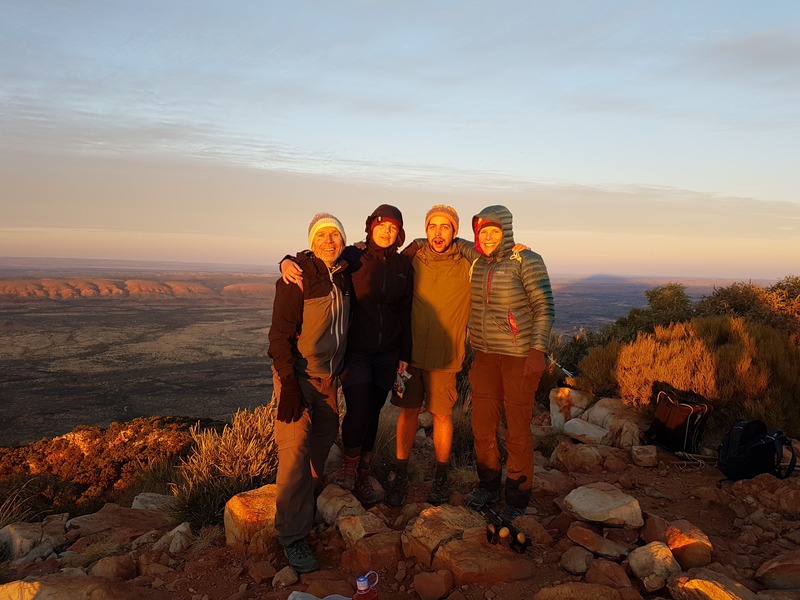 Best week ever!” -Beth N.
“First Light at Trail End – Mt Sonder, Larapinta Trail with the family.” -Gary O. 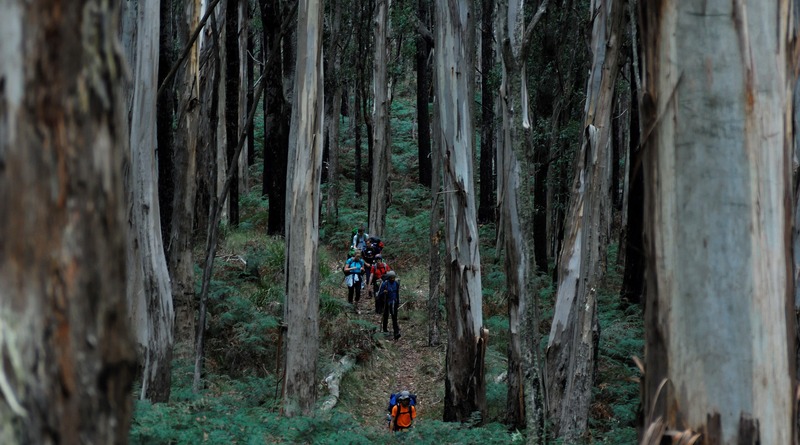 “My brother and I section hiked a modified trail of the Australian Alps Walking Track. 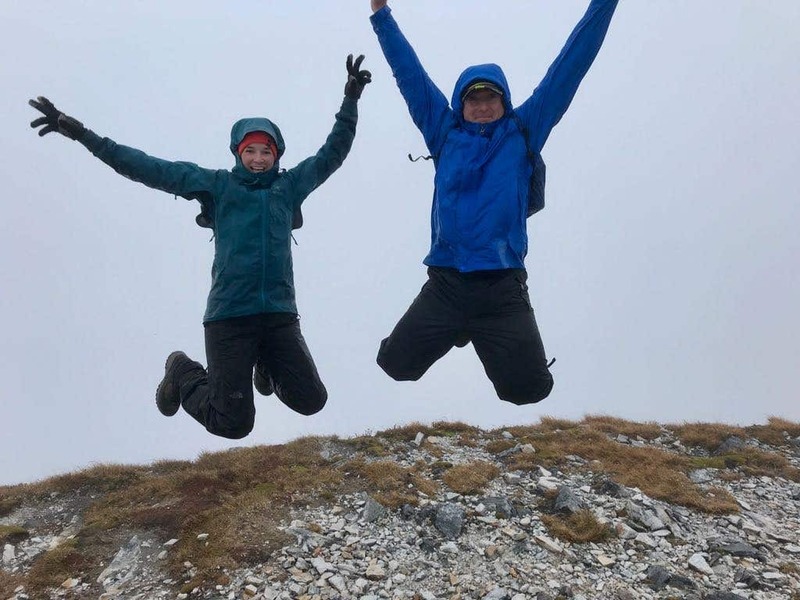 This was day 7 of the hike right before we had 3 days of shocking weather – it even snowed and it was still summer! 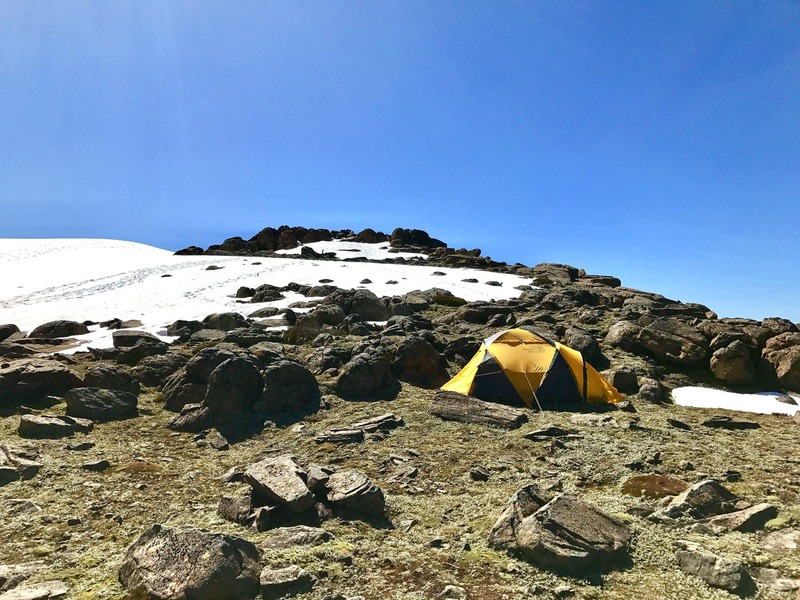 However, we spent two nights at one of the emergency huts and it was a peaceful experience to have the entire mountain range and this hut to ourselves.” – Uzman N.
“Hiking in Kyrgyzstan. My sister (pictured) making some ground over the final scree traverse out of lake Alakol (3560M). 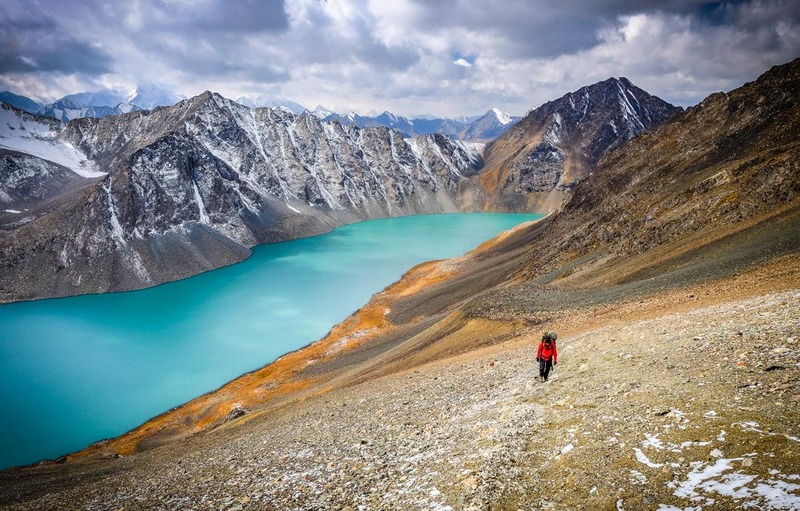 This hike was hard because we had been cycle touring through the mountains in Kyrgyzstan and I so badly wanted to be up closer to the high passes and that were inaccessible by bike (we did try and ended up carrying our bikes more than we rode them some days). 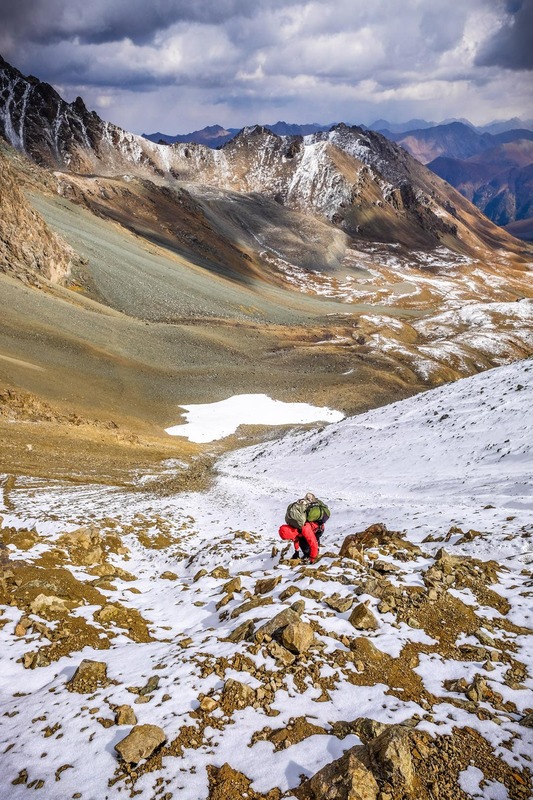 We hunted down some backpacks in Karakol, complete with metal frames and semi functioning hip belts, and wandered off into the mountains where all the pain was forgotten as we passed on by the most radiant blue lakes I’ve ever seen.” -Harrison M.
Big thanks to everyone who took the time to enter – we love seeing what our community is taking on in the outdoor world and love seeing our gear put to work! We’ll let you in on a little secret…we have another photo contest in the works, with the opportunity for you to win BIG! 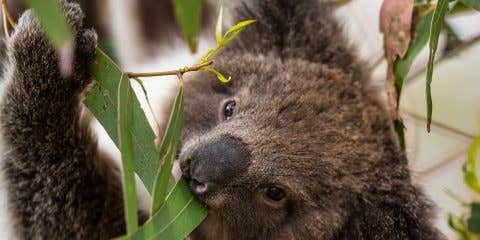 To stay in the loop sign up by signing up to our E-newsletter, liking us on Facebook and following us on Instagram to make sure you don’t miss out!